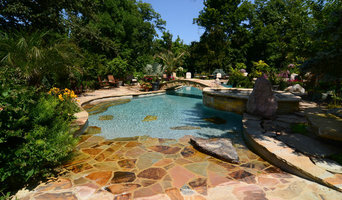 With over 100 years combined experience in building, designing, and repairing pools in the tri-state area. Tri State Gunite Pools provides the craftsmanship you seek for your pool. Your project will be done to your complete satisfaction, finished on time, and built with the highest standards. With a one-on-one pool building experience, you will receive customer service unsurpassed by any other builder in the tri-state. Tri State Gunite Pools experienced design consultant will help you plan and create the perfect pool for your outdoor environments to not only add beauty and pleasure, but also value to your property. We have designed and built pools ranging in price from $40,000.00 to more than $200,000.00. We are a family business that has been building inground pools, above ground pools and hot tubs since 1976. We serve the Greater Dayton and Springfield areas and have a year 'round service department and six retail stores. We are a family owned and operated business specializing in custom inground swimming pool design and construction. Our goal is to help create your vision that suits all of your needs. 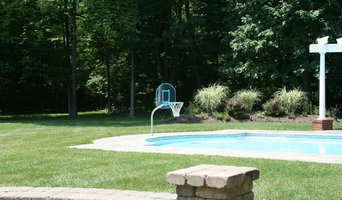 Cross County Pool Service, Inc. has experienced well trained service technicians. Insured and responsible. See our 5000 square ft store, featuring full line of Chemicals, Floats, Goggles, auto pool cleaners, Covers and many goods for your pool & around your pool. 19th year and 35 years of experience. While large enough to serve the greater Cincinnati and Dayton areas, we are proud to offer personalized and attentive services to each and every one of our customers. At Splash Swimming Pools Inc , we believe in treating our esteemed clients with the level of respect and care they deserve, regardless of the size of their project – or budget. Custom design and construction of gunite pools and spas. Installation of one piece fiberglass pools and spas. What exactly do West Carrollton City pool builders do? If you are planning for a new pool in West Carrollton City, OH, a swimming pool builder will analyze your outdoor space and your aesthetic wishes to determine an appropriate design for your yard, installing it once the plan is developed and approved. Once installed, some pool companies in West Carrollton City, OH can handle the necessary cleanings, water testing, renovations and equipment replacement or repairs for your pool or spa. If not, many can also suggest West Carrollton City, OH swimming pool contractors or maintenance services to help with upkeep or repairs down the road. Here are some related professionals and vendors to complement the work of swimming pool builders: Garden & Landscape Supplies, Landscape Architects & Landscape Designers, General Contractors, Landscape Contractors, Solar Energy Contractors. Before hiring a swimming pool construction company to create your new West Carrollton City, OH pool, determine how you'll be using it. Will it be for fun or for lap exercise? Will the primary users be children, adults or a mix of the two? Knowing the use can help you find West Carrollton City pool builders who shares your aesthetic. Once you find swimming pool builders in West Carrollton City, OH who share your style, research is critical. Review customer references and comments, collect at least three to four estimates to compare, meet with potential West Carrollton City pool designers and builders in person and ensure that they are Ohio certified service professionals and licensed with the registrar of contractors before making any final decisions. In addition, get a sense whether they plan to complete the pool installation and be done with it, or whether they seem interested in building a long-term relationship with you. Be wary of the former: it's likely a reflection on the level of quality of the pool construction they do. Find a West Carrollton City pool contractor or designer on Houzz. Narrow your search in the Professionals section of the website to pool builders in West Carrollton City, OH. You can also look through West Carrollton City, OH photos by style to find a pool or spa you like, then contact the local pool company who designed it.